What Would a Last Sermon Sound Like? The season of religious intolerance is, we trust, passing away. The increase of knowledge has been parked by the diminution of bigotry; and the mighty convulsions which have for a series of sanguinary years shook the foundation of thrones, and led every man to examine by what principles his life was governed, and how far they were capable of sustaining him in the prospect of future, perhaps of greater calamities—;have resulted not only in universal peace, but in general improvement. Institutions have of late sprang up which have produced the effect of making Christians of different persuasions better acquainted with each other, and the stiffness of jealousy has relaxed into the interchanges of mutual friendship and conciliation one great lesson at least we may venture to pronounce has been learned in Britain; namely, that different denominations may and ought to maintain their respective peculiarities of sentiment without cherishing a persecuting hostility against each other and that no man is to be burnt as a heretic, because he aims to be a Christian. This opinion indeed is held with some exceptions, for some fiery spirits are always to be found who imagine that their ecclesiastical pretensions can only be sustained by violence, and proved by the sword; but we speak of the general feeling. The wise and good attached to the hierarchy arc disposed to censure those parts of their own public creed which display the essence of persecution, and shrink with pious abhorrence from antichristian anathemas. How far they are justified in still adhering to a system so manifestly corrupt in all its principal parts, must be left to the determination, of their own consciences. The satisfaction we feel, however, in the present anti-persecuting state of society, should not prevent our sympathizing recollections of ages past, nor render us the less disposed to do honor to those who suffered for righteousness’ sake. The light they beamed amidst surrounding darkness cannot be too gratefully acknowledged, nor can their “holy firmness in maintaining truth, by which they obtained the charter of our religious liberties, be too closely imitated. Although we do not expect another Bartholomew-day, or fresh edicts of proscription and banishment, let us remember the days of our forefathers, and study their principles. Most of the sermons contained in this collection were delivered on the twenty-fourth of August, in the year 1662. On that day the act requiring a perfect conformity to the book of Common Prayer, and to the rites and ceremonies of the church took place: the effect of which enactment was the silencing of nearly two thousand Jive hundred ministers, the death of three thousand nonconformists, and the ruin of sixty thousand families. Such was the result of the restoration of Charles the Second of infamous memory. Brief notices of those amongst them whose last discourses are preserved in this volume, will not be unacceptable to the pious reader. Edmund Calamy, B.D. of Pembroke Hall, Cambridge, was born in February, 1600, and admitted to the university at the age of fifteen. He was well read in the different controversies; but especially in the holy scriptures, which he studied daily. He first held the living of St. Mary’s, Swaffham, Norfolk, where he was very useful then resided ten years at Bury St. Edmunds, Suffolk, then at Rochford in Essex, and finally removed to Aldermanbury in 1639. In 1659, he united with those who encouraged General Monk to restore the king, preached before parliament on the day previous to their voting his return, and was appointed with the other divides, who were sent over to him to Holland. After the restoration, he was made one of the chaplain ordinary, and was often with his majesty. He refused a bishopric, because he could not have it on the terms of the king’s declaration. Mr. Calamy united with others of his brethren in presenting a petition for indulgence, and on that occasion made a speech intimating either fidelity to the king, but their deep sense of the treatment they had received. Soon afterwards he was imprisoned for an occasional sermon which was alleged, but without evidence, to be seditious. The circumstance was a singular one: Mr. Calamy going to the church of Aldermanbury, with an intention to be a hearer only, the person expected to preach happened to fail. To prevent a disappointment, and through the importunity of the people present, he went up and preached on the subject of Eli’s concern for the ark of God. For this he was committed to Newgate by a warrant from the Lord Mayor, as having violated the act of uniformity; but his majesty being informed Of the numerous visitors who rushed to see him, and the great dissatisfaction this proceeding had excited, gave express orders soon afterwards for his release. Mr. Calamy’s death was occasioned by his extreme grief at the fire of London. Thomas Manton, D.D. of Wadham College, Oxford, was born in 1620, at Lawrence- Lydiard, Somersetshire. He was ordained at the age of twenty by Bishop Hall. His first settlement was at Stoke-Newington, about the year 1643, where he continued seven years, till he was presented with a living in Covent Garden. He was far from courting the favor of government; but the Protector made him one of his chaplains, and he belonged to the committee for trying ministers. He was one of the commissioners to Charles II at Breda, and instrumental in his restoration. He afterwards was imprisoned for his nonconformity. Dr. William Harris relates the following anecdote, in his memoirs. 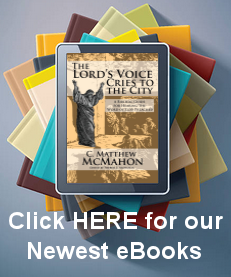 “Being to preach before the’ Lord Mayor, the court of Aldermen, &c. at St. Paul’s, the Doctor chose a subject in which he had an opportunity of displaying his judgment and learning. He was heard with admiration and applause by the more intelligent part of the audience; but as he was returning from dinner with the Lord Mayor in the evening, a poor man following him, pulled him by the sleeve of his gown, and asked him if he were the gentleman that preached before the Lord Mayor. He replied, he was. “Sir,” says he, “I came with hopes of getting some good to my soul, but 1 was greatly disappointed, for I could not understand a great deal of what you said; you were quite above me.” The Doctor replied with tears, “Friend, if I did not give you a sermon, you have given me one, and by the grace of God, I will never play the fool to preach before my Lord Mayor in such a manner again.” Dr. Manton took great pains with his sermons, so as sometimes to transcribe them more than once, and if one he had composed did not please him, he would sit up all Saturday night to make another. If a good thought came into his mind in the night, he would light his candle and sometimes write for an hour. He died October 18th 1677. Joseph Caryl, A.M. of Exeter College, Oxford, was born in London in 1602. He was preacher to the Honorable Society of Lincoln’s Inn. In 1653, he was appointed one of the triers for ministers. He was sent by parliament to attend the king at Holmby-house, and was one of the commissioners in the treaty of the Isle of Wight. After his ejectment he raised a church near London-bridge, which at his death, Feb. 7th, 1673, consisted of one hundred and thirty-six communicants. Thomas Case, A.M. of Christ-church, Oxford, was the son of Mr. Geo. Case, minister of Bockley, in Kent. He was the first that set up the morning-exercise, which proved a very useful lecture for many years. In 1660, he was one of the ministers deputed to wait on the king at the Hague, and in 1661, one of the commissioners at the Savoy. He died May 30, 1682. William Jenkyn, A.M. of St. John’s College, Cambridge, was born at Sudbury, 1612. Not satisfied to desist from the ministry, which he exercised in London, he preached after the act of uniformity in private, and upon the Oxford-act retired to his own house, at Langley, in Hertfordshire. Upon the indulgence in 1671, he returned to London, where he raised a numerous congregation in Jewin street. He continued in his work till 1682, when the storm of persecution raged afresh; but be continued to preach whenever he could do it with sufficient secrecy in various places. He was taken by a soldier on Sept. 2nd, 1684 while spending a day in prayer with some eminent ministers who escaped, and was committed to Newgate, where he died Jan. 19th, 1685. A nobleman having heard of it, said to the king, “May it please your majesty Jenkyn has got his liberty.” “Aye!” he replied eagerly; “who gave it him?” The nobleman replied, “a greater than your majesty the King of kings,” with which the king seemed much struck. Thomas Jacomb, D.D. of Magdalen Hall, Oxford, was born at Melton Mowbray, Leicestershire. He came to London in 1647, and was received into the family of the Countess Dowager of Exeter as her chaplain, by whom he with other nonconformist ministers was supported after his ejectment. He possessed an amiable disposition, was of moderate principles, and eminently pious. His sermons were clear and solid. March 27tb, 1687, he died in peace at the house of his patroness. William Bates, D.D. was the son of a physician, and born in November, 1625. At the return of Charles II he might have been a dean, and afterwards been preferred to any bishopric in the kingdom upon condition of deserting his principles. He was an elegant preacher. Mr. Howe says of him, “I never knew any one more frequent or affectionate in the admiration of divine grace, upon all occasions, than he was, as none had a deeper sense of the impotence and depravity of human nature. Into what transports of admiration of the love of God, have I seen him break forth, when some things not immediately relating to practical godliness, had taken up great part of our time. How easy a step did he make it from earth to heaven! With what high flights of thought and affection was he wont to speak of the heavenly state! Even like a man much more akin to the other world than this. Let those who other visited him say, whether he did not usually send them away with somewhat that tended to better their spirits and quicken them in their way heavenwards.” He died July 14th, 1699. In the latter part of his life, he exercised his ministry at Hackney with great success. Thomas Watson, A. M. of Emanuel College, Cambridge, was a man of learning and a popular preacher. He had an eminent gift in prayer, and died suddenly in his closet in that engagement. Thomas Lye, A.M. of Wad ham College, Oxford, remarkable for his excellent method of catechizing and instructing children. He died June 7th, 1684. Matthew Mead was appointed by Oliver Cromwell, to the care of the New Chapel, Shadwell, Jan. 22nd, 1658, whence he was ejected for nonconformity in 1662. In the year 1674, the large meeting-house in Stepney was erected for him, the four pillars of which were presented to him by the states of Holland. He was the father of Richard Mead, the eminent physician. Thomas Brooks was a very affecting and useful preacher. He was for some time at St. Thomas Apostle, and about the year 1657, was chosen by the parishioners of St. Mary Magdalene. There he gathered a church of the congregational order. He died Sept. 27th, 1680. John Collins was the son of a deacon of the church at Cambridge in New-England. When the act of uniformity took place, he was chaplain to General Monk, and afterwards became pastor of a church in London, where he was an eminent preacher. His death took place in 1687. John Galpine was for some time a student in Exeter College, Oxford, during the reign of Cromwell, and afterwards at New-Inn. After the liberty by act of parliament he settled at Totness, where he died in Sept. 1698. Lazarus Seaman, D.D. of Emanuel College, Cambridge, was born at Leicester, of mean extraction. He was soon obliged to leave college and seek subsistence by keeping a school. But he became master of Peter-house and vice-chancellor in 1653. In 1642, he was presented by Bishop Laud to Bread-street parish by order of parliament. He was a great divine and a very learned man. He was one of the commissioners sent to Charles I to the Isle of Wight. In Sept. 1675, he died. George Evanke appears from his Farewell Sermon to have been a man of ability. All the account we have of him is comprised in the title of that discourse, where he is stated to have been chaplain to Sir George Norwood, at Cleveland.